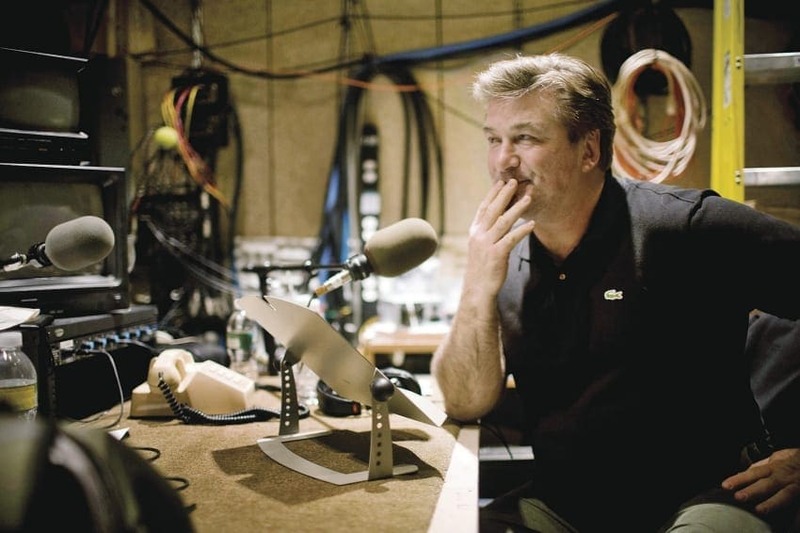 From film and television, to theater and scandalous stories, Alec Baldwin has provided the world with more material than it knew what to do with. 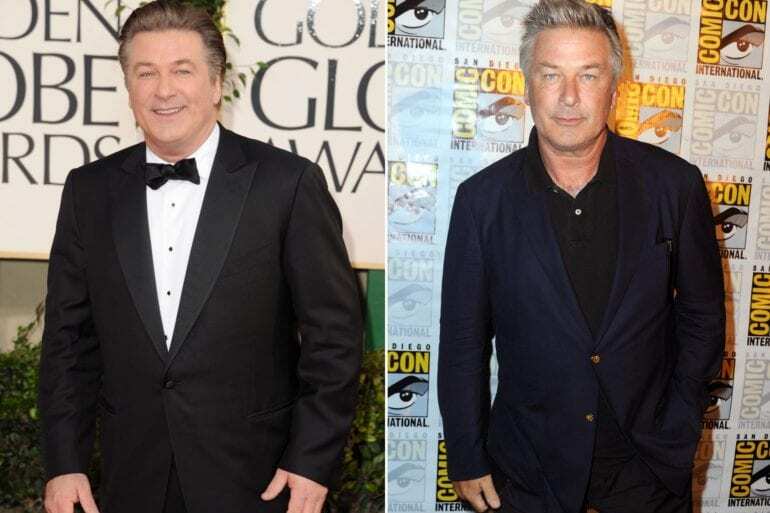 Alec is the eldest Baldwin brother, followed by three more talented actors. 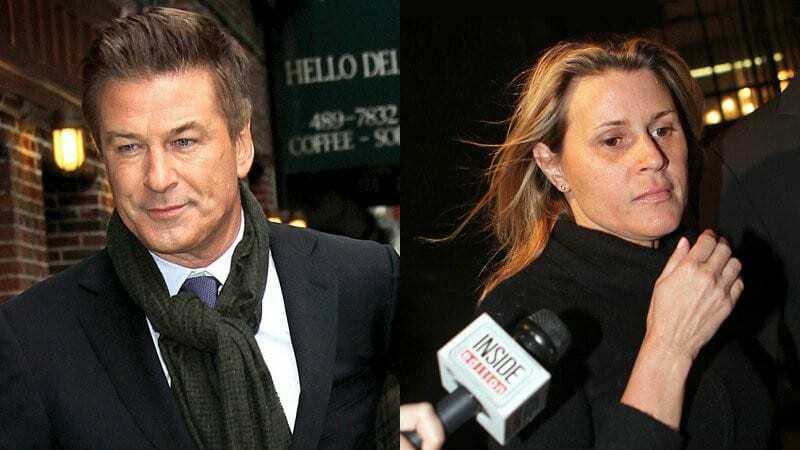 The Baldwin family is expanding and proving that there is something in that gene pool that almost guarantees ones success in the entertainment industry. The younger Baldwin generation, Ireland and Hailey Baldwin, are proving that beauty is an ever-flowing resource in their family, as well as business savviness. We chose to focus on Alec more than the rest of the clan just because he is just so incredibly interesting. 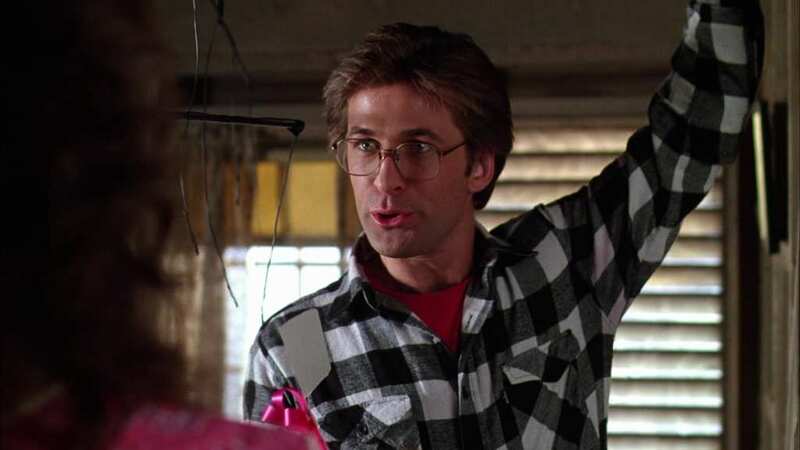 His early career was a mix of theater, film and television, while most people remember him for his later role as Jack Donaghy in 30 Rock alongside Tina Fey. He has somewhat transitioned back into film in recent years, with romantic comedies among them. However, while his acting is what he should be known for more than anything, it is his personal life that has put him on the radar for most people. Alec has a temper on him. He let that temper seep out of control when he left a very inappropriate voicemail to his then 11-year-old daughter, Ireland. The world will not let Alec forget how horribly he spoke to his little girl, words that while he apologized for, changed his relationship with Ireland forever. Alec has tried to make amends and has also changed quite a lot in recent years, especially since marrying his second wife, Hilaria, and welcoming three more children into the world. Ireland is back in his life, but things are not the same. 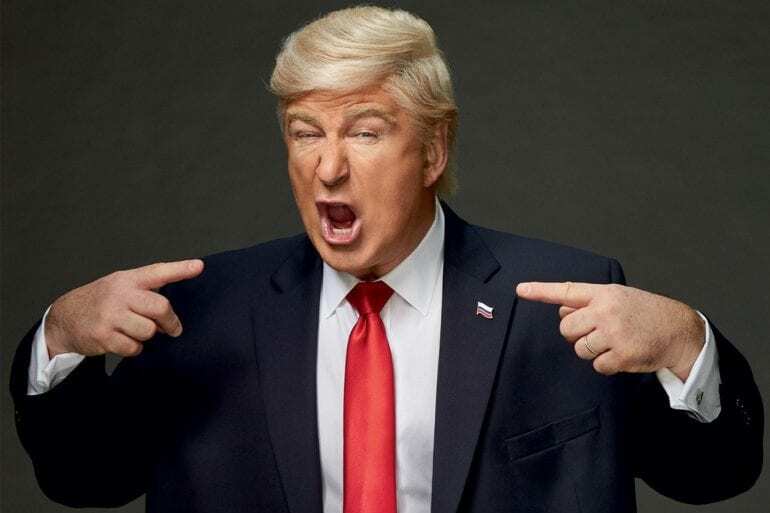 Alec is back in the acting saddle, playing a certain world leader on Saturday Night Live. Alec is on fourth of the Baldwin brothers. He is the eldest of the four performing siblings. There is something in the Baldwin gene pool that guarantees you a talent in acting. Alec was born in 1958, Daniel in 1960, William (or Billy) in 1963, and Stephen in 1966. 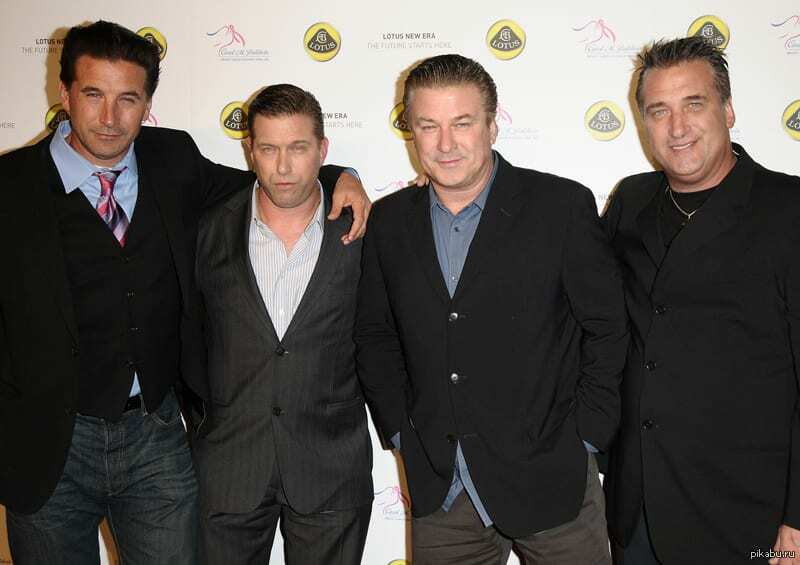 Each of the Baldwin brothers has succeeded in film and television, as well as has their own share of media scandals. We said that the Baldwin gene pool is a blessed one, and this extends to the whole of the Baldwin family. The four talented brothers, who married talented women and produced talented children, have created a dynasty in the Baldwin name. The newer generation of Baldwins are just as famous as their predecessors. Ireland, Hailey and Alaia Baldwin are some of the biggest names in Hollywood now, both of them modeling and acting. The whole of the Baldwin clan was raised a staunch Catholic one. Alec attended high school in Massapequa, New York and played football during those years as well. It was after high school that he moved to New York City and worked at Studio 54 as a busboy. He went to George Washington University for his undergraduate degree, transferring to New York University in the middle of the degree. Alec’s first acting job in film was in 1987, in the film Forever, Lulu. However, it is his third film gig that you probably remember best – 1988’s Beetlejuice. He proceeded to land role after hit role in films like Working Girl, Married to the Mob, and The Marrying Man. His earlier career was film oriented, throughout the years television got more and more involved. While Alec’s television career began even earlier than his film, it wasn’t until his 1995 appearance in the film A Streetcar Named Desire that he became more well-known. Flash forward to 2006 and Alec’s true time to shine was in Tina Fey’s comedy 30 Rock, where he played the role of Jack Donaghy until 2013. It was for that role that he won his Golden Globe for Best Actor, Prime Emmy Award for Outstanding Lead Actor, and Screen Actors Guild Award for Outstanding Performance by a Male Actor. 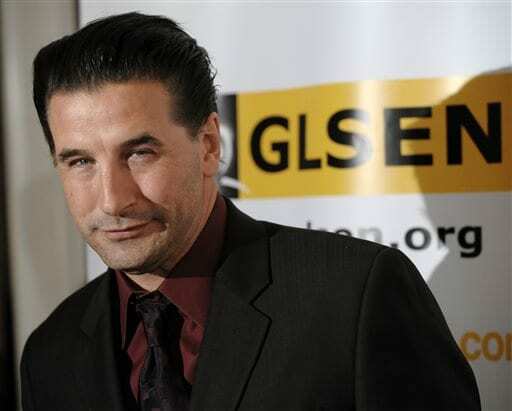 Billy Baldwin, the second youngest Baldwin brother, is known for his roles in Parenthood, Gossip Girl, and box office hits like Flatliners. He even played himself in the film Forgetting Sarah Marshall. He has been married to Chynna Phillips, the daughter of The Mamas & the Papas’ band members, John and Michelle Phillips, since 1995 and the pair have three children together. Unlike the other Baldwin brothers, Billy here seems content with his lot. 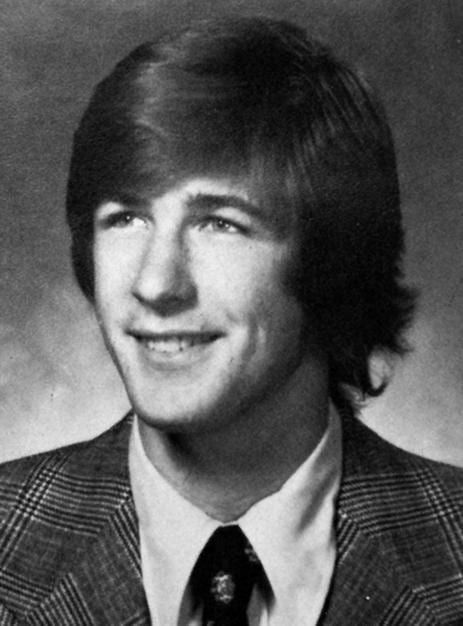 The youngest Baldwin, Stephen, has been in many films and television shows throughout his life, just like his brothers. Some of his credits include, CSI, The Celebrity Apprentice, Big Brother, and All-Star Celebrity Apprentice. Stephen is probably the most known, though, for being the father of model Hailey Baldwin. 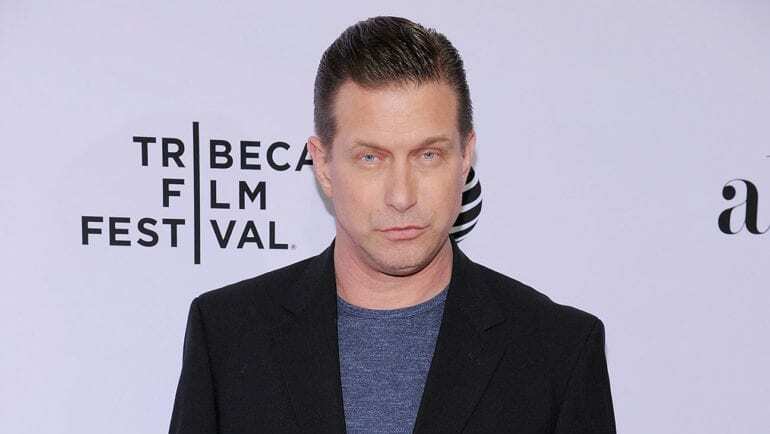 Out of all of the Baldwin brothers, he is the one with the most financial issues as he has filed for bankruptcy in 2009. Daniel, the second eldest to Alec, is known for his role as Beau Felton on the NBC crime series HomicideL Life on the Street. He has had the most amount of trouble with women, being divorced three times. Perhaps the most well-known thing about Daniel is his history with illegal substance abuse. He has recently pledged himself to helping families with addiction issues. He managed to clean up his act while on the reality television show, Celebrity Rehab with Dr. Drew. Hailey Baldwin is Stephen Baldwin’s daughter. She is a well-known model and is part of today’s mainstream model and reality television show crowd. She has modeled for brands such as Teen Vogue, Tommy Hilfiger, Glamour Magazine, and has walked the runway for Tory Burch, Elie Saab, Dolce & Gabbana, and Parabal Gurung. Hailey is also good friends with fellow model and reality star Kendall Jenner. Kim Basinger and Alec Baldwin were married in 1993. They met on the set of the film The Marrying Man which they starred in together. They welcomed their daughter, Ireland, in 1995. Their relationship was full of ups and downs as the couple was always a passionate one. They announced their separation in 2000 and divorced in 2002. The divorce is what started the dark and messy custody battle of Ireland and the subsequent voicemail that was left in a moment of thoughtlessness. Kim was famous before she met and married Alec and has continued her career long after their divorce. Basinger is a model in addition to being an actress, having her daughter walk in her very footsteps. She is an Academy Award-winning actress, for her role in L.A. Confidential in 1997. She has also been in films like Batman, 8 Mile, The Nice Guys, and most recently Fifty Shades Darker. In 2013, Alec put his foot in his mouth yet again, which cost him professionally this time rather than personally. 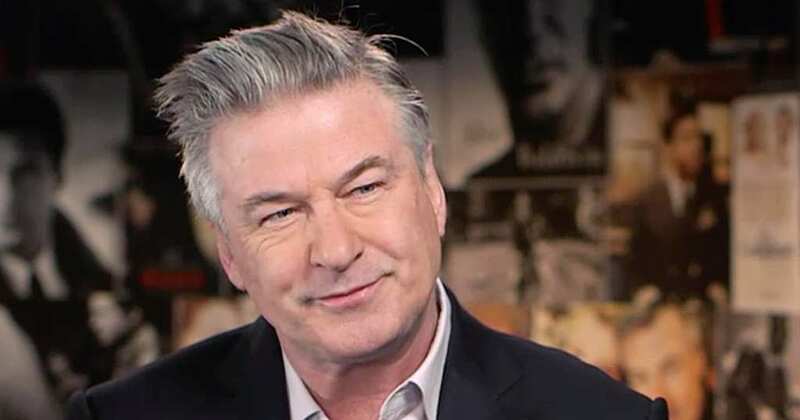 That year, Alec was hosting his own MSNBC show, Up Late with Alec Baldwin, when only five episodes in it was cancelled due to Alec’s anger towards the videographer that had him call the man a very inappropriate and hurtful word. Alec said that it was this failure on his end that had him change the way he works with people. Alec is worth $65 million. His massive fortune comes from his many hit films, television shows and endorsement deals. He is not only an actor but a director and a producer, and earns as such. His net worth includes his homes on both the West coast and the East coast, as well as his assets internationally. 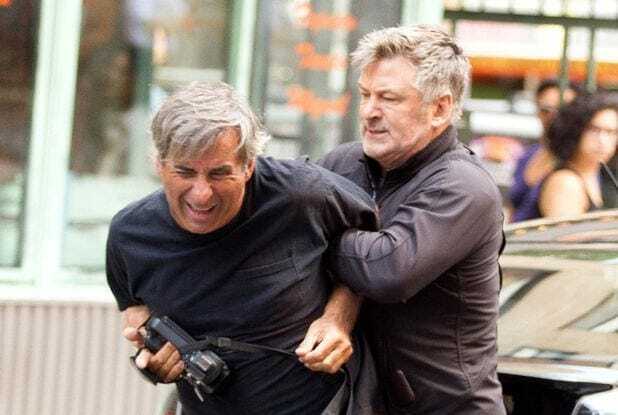 Baldwin has also earned a nice amount from his theater days. After many years of ups and downs, Alec met yoga instructor Hilaria Thomas. Hilaria changed Alec’s life. The two met in 2011 and were engaged by 2012 and married later that year. Hilaria made her desire for children very clear and the two went on to have three children together. Hilaria was the force behind Alec losing some much needed weight so that he could be a present father to their children. Hilaria, who is 26 years younger than Alec, injected a lot of different and positive things into his life after they got together. Other than the health kick (which we discuss in a bit), Hilaria calmed Alec down significantly. There were (almost) no more outbursts on his behalf, and he became much more focused on the good things in his life, like his family and friends. His career even took a turn for the better, as he went to work on projects that were of a more comedic and less frequent nature. His priorities had changed. Since 2016, Alec has been featured on Saturday Night Live many more times than he normally would be. Why, do you ask? Because he makes a seriously impressive impression of our current president. Alec’s comedic skits of our current commander in chief are not in the least bit politically correct, but then again, neither is the president. 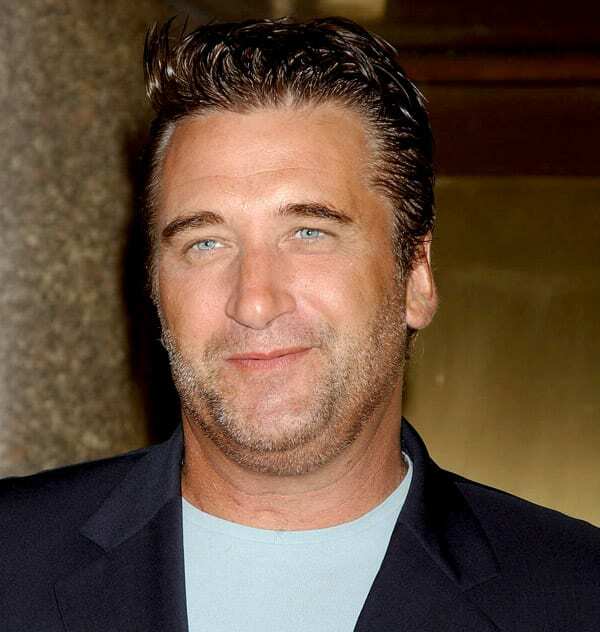 He has won awards for his SNL character, such as Critics’ Choice Television Award for Best Guest Performer in a Comedy Series, and a pending Primetime Emmy Award for Outstanding Supporting Actor in a Comedy Series. Part of Alec’s new lease on life is to support organizations that we wouldn’t immedtialy think he would back. 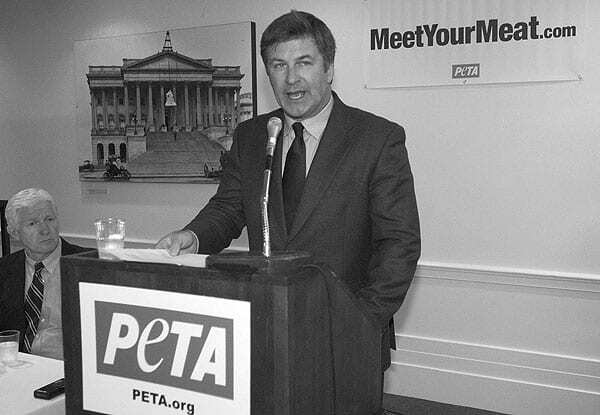 Of all the organizations, Baldwin is a devout activist for People for the Ethical Treatment of Animals, also known as PETA. He has always loved animals, that’s true, but to support PETA means much more than just hating fur. Either way it is a good cause so, go Alec! From his two marriages, Alec is a father four times over. With first wife Kim Basinger, he had daughter Ireland, while with his second wife, Hilaria Thomas, he has welcomed three more children: Carmen, born in 2013, Rafael, born in 2015, and Leonardo, born in 2016. Since welcoming his three youngest children, Alec has been a very present father and makes it a priority to spend a lot of time with the kids and be there for them in a way he wasn’t for his eldest daughter, who is also very close with her younger siblings. Alec is an award-winning actor and producer. He has won Prime Emmy Awards, Golden Globe, Screen Actors Guild Award, and was nominated for an Academy Award in 2004 for his role in The Cooler. 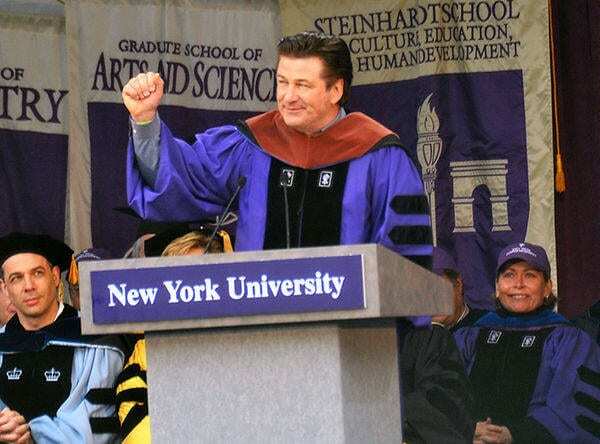 His other accolades include being awarded an honorary Doctor of Fine Arts degree from New York University in 2010, the same year he gave the commencement address. In addition to his activism with PETA, Alec has donated much of his money over the years to various organizations. 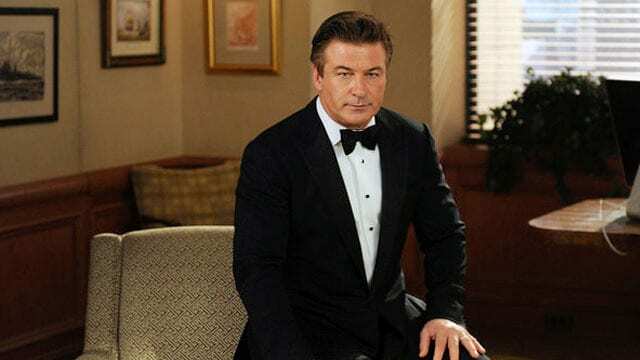 Between 2010 and 2013, Alec donated his Capital One spokesperson paycheck to the Baldwin charity foundation. The amount he donated after fees was $14 million. His also on the board of the New York Philharmonic, to which he donated $1 million in 2011. 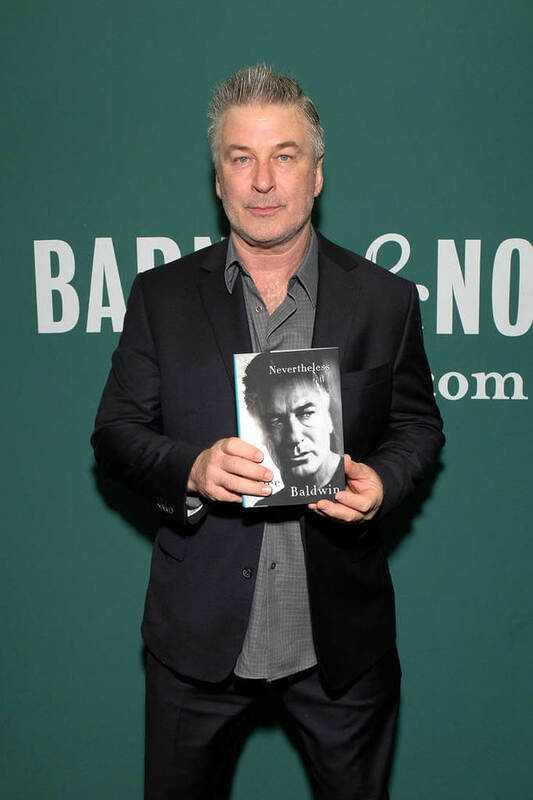 Baldwin has also donated 500,000 to the Roundabout Theatre Company in New York. 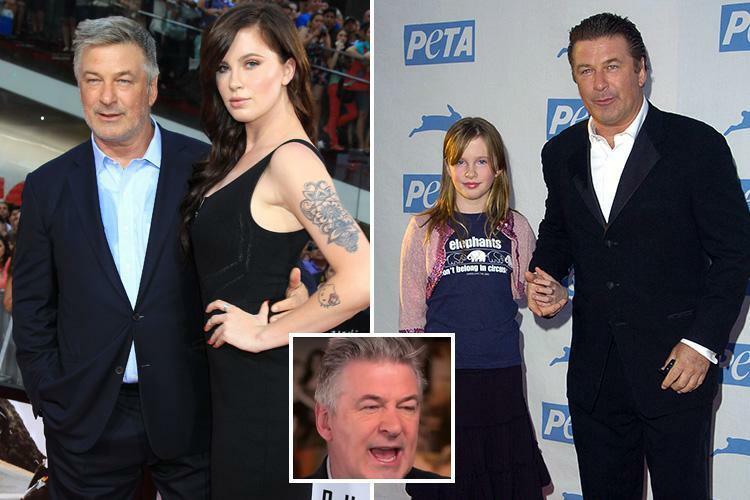 Ireland is the 6 foot 2 inches tall daughter of Alec Baldwin and Kim Basinger. She has without a doubt won the genetic lottery. Ireland is a model and actress. She is signed with IMG Models and has been in magazines like Vanity Fair and W Magazine. Her latest campaign was for True Religion Jeans, as well as gracing the cover of Elle and Marie Claire magazines around the world. Ireland is in her early 20s and is only at the beginning of her career. 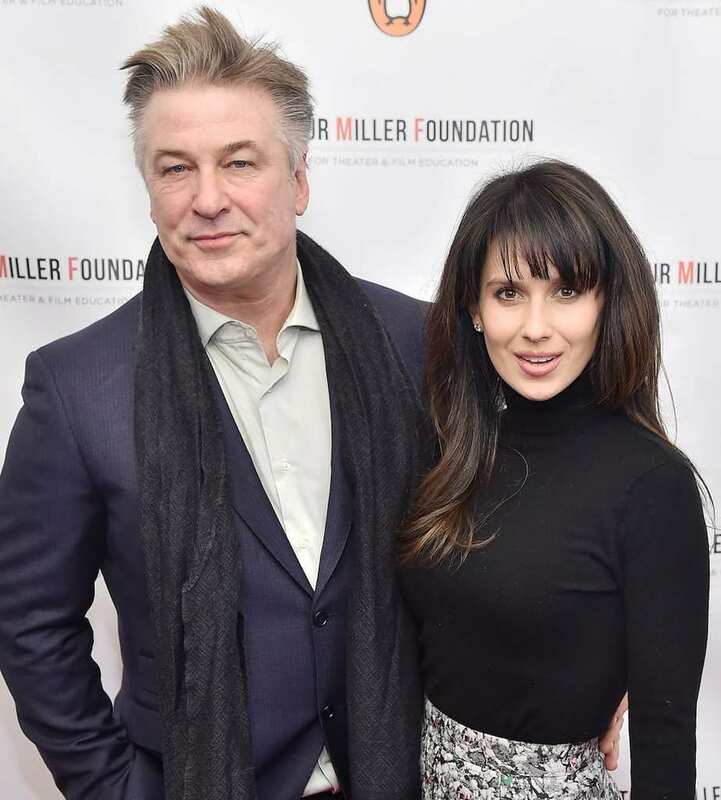 On the night of the roast of Alec Baldwin, Ireland said, “I know you’ve heard this and time again, but I really am proud to be your daughter, and I’m so happy to be here tonight, and I absolutely love and adore you.” The two have never been closer, especially since Alec’s marriage to Hilaria and their three little ones arrived. Genevieve Sabourin, a French-Canadian actress who met Alec on a set of his film in 2002, had begun stalking Alec in 2011 with text messages and emails. Things got to a whole new level in 2012 when Sabourin was arrested after stalking Alec and his wife Hilaria outside of their home in New York City’s West Village. 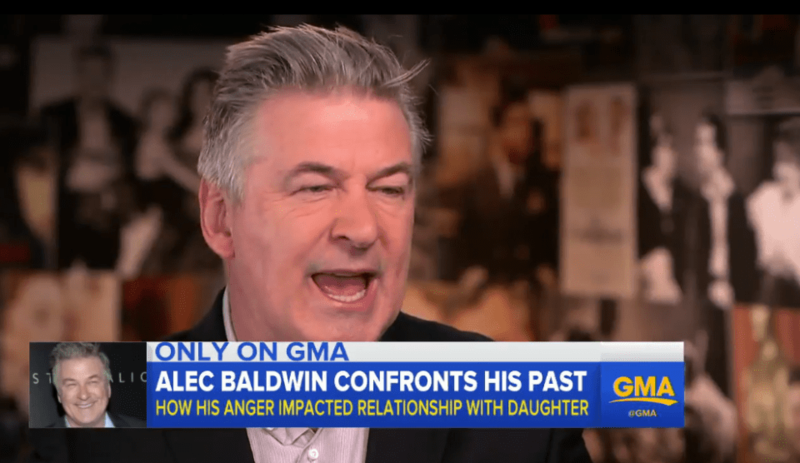 She was released and told to stay away from Baldwin and his family. Sabourin didn’t listen and was arrested once again, this time she was found guilty of stalking and harassment and was sent to 180 days in jail. Alec published his first book, a memoir about his life, in April of 2017. Alec’s explanation as to why he wrote the book: ““I’m not actually writing this book to discuss my work, my opinions or my life,” he says. “I’m not writing it to explain some of the painful situations I’ve either landed in or thrown myself into. I’m writing it because I was paid to write it.” You can’t say he isn’t honest with the reader. Alec has over 330,000 people following him on his Instagram account. It is a window into his personal life that his many fans like to see. 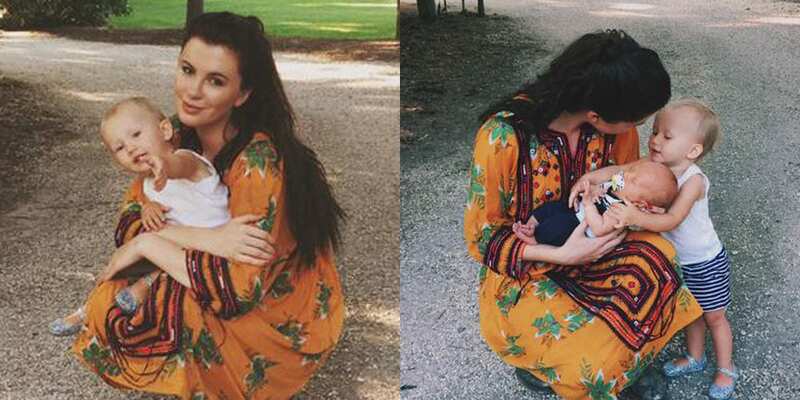 He posts videos and photos of his family, praising his eldest daughter, Ireland and her modeling, and documenting his youngest children growing up before his eyes. Alec also promotes his own beliefs, such as animal protection and activism, on his account, by promoting certain films and projects he is behind.